The following is a current listing of Monticello High School Hall of Fame Inductees (Present - 1989). If you have any additional images or information you would like to contribute to this listing, please contact the Monticello CUSD #25 High School Office, or the Technology Department, at 217-762-8511. Trish Mosser is a 1974 graduate of Monticello High School. She was a member of National Honor Society and participated in many extracurricular activities including madrigals, band, choir, track and field, volleyball, theatre, speech competition and served as captain of the varsity cheerleading squad. After graduation, Trish received a B.A. from Wellesley College in Mathematics and Economics, a M.Sc. degree with Distinction from the London School of Economics and Political Science, and a Ph.D. in Economics from the Massachusetts Institute of Technology. Trish’s interest in economic policy started in a college classroom, but was confirmed by her first job at an economic forecasting company in the late 1970s and early 1980s, a period when poor economic policy led to inflation and stagnation. The importance of macroeconomic policy is delivering good (and bad) economic outcomes and has been at the core of her professional life ever since. Since 2015 Trish has been on the faculty of Columbia University’s School of International and Public Affairs. She is Director of the Program in Economic Policy Management and leads the school’s Initiative on Central Banking and Financial Policy. For the previous 25 years, she was deeply involved in economic and financial policy as a central banker at the Federal Reserve and at the U.S. Treasury. She served as Director of Research at the Office of Financial Research, U.S. Treasury Department and spent over 20 years as an economist and senior manager at the Federal Reserve Bank of New York. Before, during and after the 2007-2009 financial crisis, she was a senior manager at the Fed’s open market desk overseeing monetary policy analysis and operations, including the creation of many crisis-related policies and facilities. 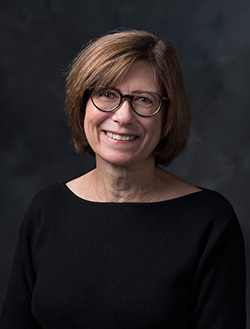 Her research includes work on monetary policy, financial and economic booms and busts, and the reforms needed to make the financial system safer. 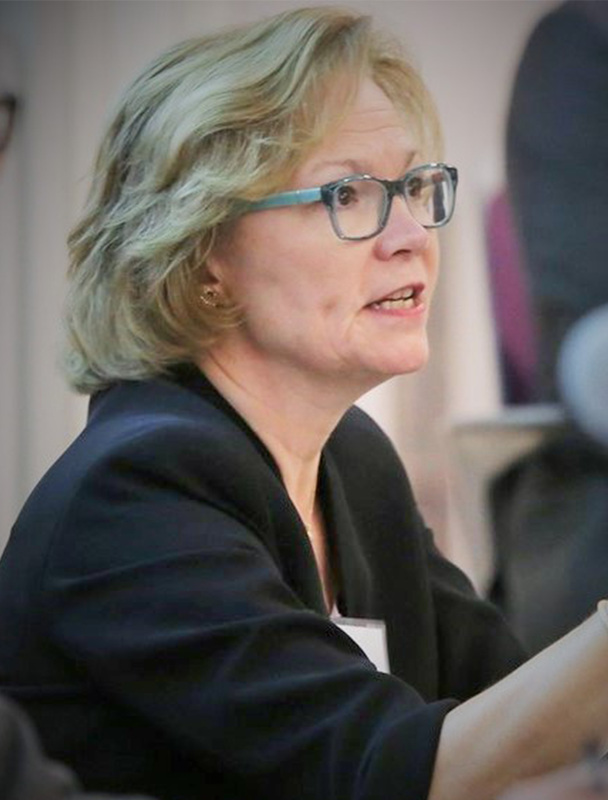 She has served as an advisor to the Bank of England, on the Deputies Committee of the Financial Stability Oversight Council, on the Board of the American Economic Association’s Committee on the Status of Women in the Economics Profession, and on numerous international central banking committees. Trish’s husband Cary Leahey and her daughter Rosemary Leahey are her greatest joys. She returns to Monticello regularly to visit her mother and friends who live in the area. She is grateful to be honored by the school and the town that hold such wonderful memories. 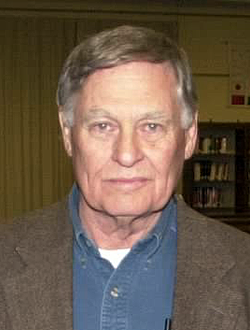 David Whisnant was raised in Cisco, Illinois and graduated from Monticello High in 1961. He played basketball and football and was named to the Okaw Valley all-conference football team in his senior year. 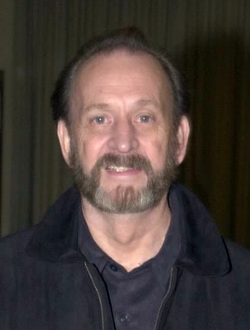 He attended Georgia Tech for two years and, following his marriage to Linda Dyson, graduated from the University of Illinois with a B.S. in chemistry. He received the Outstanding Freshman Chemistry award at Georgia Tech and the Outstanding Senior Chemistry award at Illinois, graduating with Highest Distinction. He earned his Ph.D. in physical chemistry from the University of Wisconsin in 1970, where he was awarded a University Prize Fellowship. 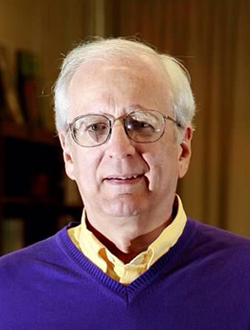 David was a professor of chemistry at Northland College in Wisconsin until 1983 and then at Wofford College in South Carolina. 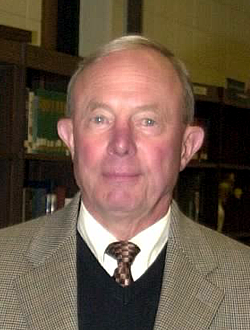 In 1995, Wofford awarded him the McCalla professorship in chemistry, which he held until he became Vice-President of Information Technology in 2000. 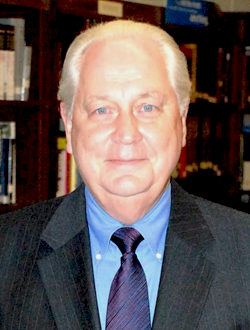 He served the college as a vice-president until he retired as Professor Emeritus in 2014. David’s career has been focused on the applications of technology to education at the college level. 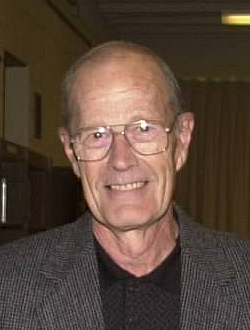 He was an early adopter of both personal computers and multimedia and received an O-Haus-NSTA National Award for Innovations in Science Teaching in 1983. He has played a leadership role in developing applications of technology in chemical education and has over twenty publications in this area. This work led to national activities that included projects associated with the Institute for Chemical Education at the University of Wisconsin, various American Chemistry Society chemical education committee positions, and seven National Science Foundation grants. He was on the Editorial Board of the Journal of Chemical Education: Software. In the latter part of his teaching career he was a member of the NSF-supported Physical Chemistry Online Project, which involved students from across the country in collaborative online chemistry projects. David and Linda live in Spartanburg, SC. They have two grown children and four grandchildren. Brenda Scheuermann graduated from Monticello High School in 1973. After graduating from Illinois State University with a bachelorís degree in Special Education, she began her career in Decatur as a special education teacher. While there, she started Decatur's first class for children with autism. She moved to Austin, Texas, where she taught in the districtís first classes for students with autism. She received her Masters and Doctoral Degrees at The University of Texas at Austin, studying Autism and Emotional Disturbance. She continued her career as an educator at Texas State University where she is Professor of Special Education and Coordinator of Graduate Programs in Special Education. 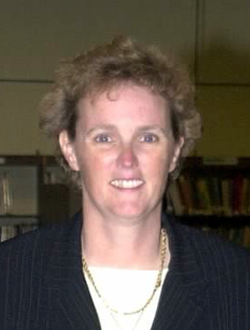 Throughout her career, Brenda has sought to help the most marginalized students achieve school success by studying and disseminating practices that help educators be more effective with students who are difficult to teach and included larger issues of schoolwide discipline, school safety, and juvenile justice. She now works with state and county juvenile justice agencies around the country to improve behavior programming for youthful offenders. In addition, she is leading efforts to better integrate school police as part of an overall school focus on preventive discipline. Her work has long been funded by major research grants through the U.S. Departments of Education and Justice. Brenda has written books, published professional journal articles, and presented her work at international conferences. Brendaís family is her greatest source of joy. Brenda is married to Bill Jacobs. They have three children, Colin, Ben, and Leah, and 7 grandchildren. Brendaís family still lives in Monticello and surrounding cities, and she returns often to visit family and friends. Monticello is a very special place for Brenda, and she is truly honored to be recognized by the school that laid the foundation for her lifelong pursuit of knowledge. David Randall grew up in Monticello, Illinois. He is a 1985 graduate of Monticello High School and an Eagle Scout in the Boy Scouts of America. He enlisted in the U.S. Navy in 1985 and attended Recruit Training Command in Orlando, Florida. Mr. Randall progressed through the enlisted ranks as a Boatswainís Mate and ultimately advanced to Command Master Chief serving as the senior enlisted person onboard a command and specialized in human resource management, development, training and discipline. He served 20 of his 30 years on sea duty and his numerous sea commands included USS CALOOSAHATCHEE (AO 98), USS YELLOWSTONE (AD 41), USS DEYO (DD 989) and USS NASSAU (LHA 4). He served the distinction of being the Command Master Chief, the highest enlisted ranking Sailor onboard USS ROSS (DDG 71) and USS KEARSARGE (LHD 3). The highlights of his sea career included Qualifications as Enlisted Surface Warfare Specialist, Enlisted Aviation Warfare Specialist, Search and Rescue Swimmer and Officer of the Deck Underway. He was involved in Operation Desert Shield and Storm, Operations Enduring Freedom and Operation Iraqi Freedom. His shore commands include two tours at Naval Station Norfolk, Norfolk Virginia, where he served first as a tugboat captain and later as the Port Operations Senior Enlisted Leader and as the Senior Enlisted Leader at Naval Support Activity Norfolk, Virginia. His personal awards include two Meritorious Service Medals, four Navy and Marine Corps Commendation Medals, two Navy and Marine Corps Achievement Medal, seven Good Conduct Medals and various other unit commendations, theater and service medals. In 2015 after 30 years of Naval Service Master Chief Randall retired from the Navy. David is currently employed at the Norfolk Naval Shipyard as a Generic Nuclear Instructor. He is married to Kimberly Christman of Ticonderoga, New York and they have two children Tyler (22) and Madison (19). They reside in Chesapeake Virginia. 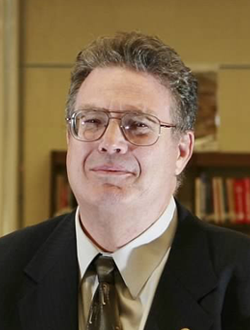 Jerry Giesler started his education at Cisco Grade School and graduated from Monticello High School, Class of 1972. He received a Bachelor of Arts degree in Journalism and Mass Communication and minors in Theatre and Political Science from Illinois State University. 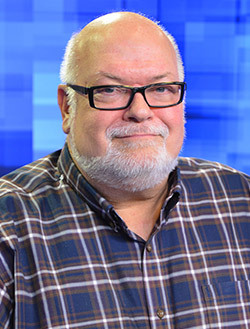 Upon graduation in 1976, Jerry started his career in the broadcasting industry at WEEK-TV in Peoria, Illinois, working his way up from reporter to News Director. He then moved as News Director to KPNX-TV in Phoenix, Arizona. Jerry then joined Frank Magid Associates, the worldís largest media research firm traveling the United States and the world as a media consultant. From consulting, Jerry moved back into television, running a series of successful television properties. 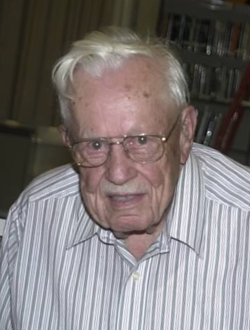 He was first President and General Manager of WHO-TV in DesMoines, Iowa. He moved to California to become President and General Manager of KNTV-TV in San Jose, California. President and General Manager of KSEE-TV in Fresno, California and WPTA-TV in Fort Wayne, Indiana. All of the stations Jerry oversaw were with the same company, Granite Broadcasting, which employed him for over 20 years. For the last several years, Jerry returned to his roots, and oversees television news operations for a broadcasting company in Montana. He lives in Missoula, where his son Max loves to snowboard. His Broadcasting career spanned over four decades of leadership in the industry. Throughout Jerryís career, he has remained the same home town person, returning to Monticello often to visit family. Hugh Finson was born and raised in Monticello, Illinois. He attended Monticello Public Schools and graduated from Monticello High School in 1965, ranking 6th out of a class of 115. He attended DePauw University in Greencastle, Indiana and graduated with a bachelorís degree in History. He then attended the University of Illinois, College of Law, in Champaign, Illinois receiving a juris doctorate degree in 1972. He passed the Bar exam and was admitted to the practice of law later that same year. 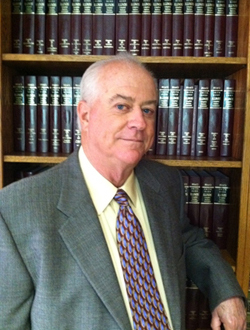 Hugh began practicing law with Arnold Sievers in Monticello. He then worked in a partnership with Eaton & Finson for two years. 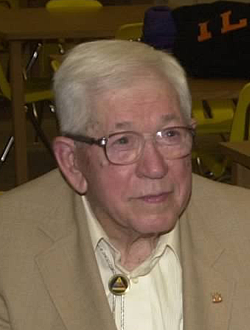 He served as Piatt County Assistant Stateís Attorney from 1972 to 1975, when he was appointed as Piatt County Stateís Attorney upon the resignation of his predecessor. He was elected and reelected to that post for three terms through 1988. From 1988 to 1996, he served as misdemeanor and juvenile public defender. Throughout that time, he maintained a private practice of law, representing a number of local governments, corporations and individuals in a wide range of legal matters. In 2012, the Illinois Supreme Court appointed him resident circuit judge of Piatt County to succeed Judge John P. Shonkwiler, and he was elected to a six year term as Piatt County Circuit Judge in 2014. Hugh is a member of the Piatt County and Illinois State Bar Associations and the Illinois Judges Association. Hughís interests include history, music and travel. He was president, secretary and treasurer of the Piatt County Historical & Genealogical Society and served on the Monticello Historic Preservation Commission. He also participated in Revolutionary War battle reenactments. He has been a director of the Monticello Chamber of Commerce and the Rotary Club. He plays tuba in the Bement-Area Band. Hugh lives in Monticello with his wife, Gloria, and has four grown children. He has always believed that his education in the Monticello schools, particularly the high school, was the foundation for his success in the practice of law. William (Bill) Burns was born in Monticello, Illinois on June 24, 1930 where he attended Elementary and High School in Monticello. He was recognized as Valedictorian for the MHS Class of 1948. 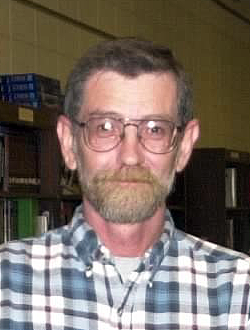 After graduation from Monticello High School, Bill attended the University of Illinois and received a Bachelor of Science degree in Mathematics. His collegiate studies were interrupted for a period of time while he served in the United States Army in the Far East and he was honorably discharged in July, 1953. Bill joined State Farm Life Insurance Company as a Student Actuary in June, 1954. In a series of promotions within the company, he moved up to Associate Actuary in 1959 and to Associate Controller the following year. 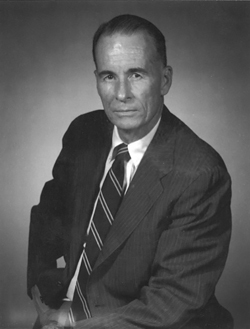 Bill was named Controller of State Farm Life Insurance Company in 1961 and Vice President in 1964. In 1976, Bill was appointed State Farm Life Insurance Companyís Treasurer and was elected to the Companyís Board of Directors. He was also named as a member of the Board of Directors of State Farm Assurance Company and State Farm Annuity Company. Bill continued to serve in various executive capacities at State Farm Insurance Company until he retired in October, 1991. Bill Burns was a highly respected and recognized executive in the life insurance industry. He completed a rigorous set of actuarial science exams and was admitted as a Fellow in the Society of Actuaries in 1959. He was also certified as a Fellow of the Life Office Management Institute in 1963 and as a Chartered Life Underwriter in 1966. Among other notable accomplishments, in 1969, Bill was added to the Whoís Who in America publication which provides biographies of distinguished Americans. He also was an active member of the Financial Executives Institute and was a long-time member of the Board of Directors of St. Joseph Hospital in Bloomington, Illinois. Through his thirty-seven year career at State Farm Life, Bill had major influence in designing and implementing the Companyís portfolio of products, fiscal controls operational efficiencies and administrative support systems. He is considered to be one of the key architects that shaped the high quality, sterling reputation, and outstanding success that State Farm Life Insurance Company continues to enjoy. Martha Oehmke-Loustaunau graduated from Monticello High School in 1956 and from the University of Illinois in 1960 and received her PhD. from the University of New Mexico in 1973. Before her marriage, Martha traveled, taught, and studied in Mexico, Spain, and Puerto Rico. She started her career in teaching at New Mexico State University as an Assistant Professor of Sociology. 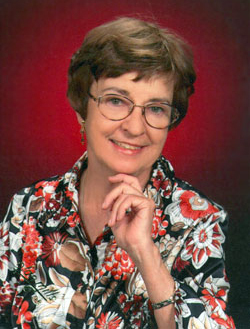 She retired in 2000, but has continued to teach on-line classes. Dr. Loustaunau has been very involved in womenís issues, health care, U.S.-Mexico Border issues, and medical ethics. The Governor of New Mexico appointed her to a term as Chair on the Health Systems Agency Governing Body and she served as Chairperson on the State committee on Health Planning and Development as well as being a member of the State and National Womenís Political Caucus. She has worked on projects including drug abuse prevention and teen pregnancy, alternative and multi-cultural forms of health care and health care delivery, living environments related to aging, and policy decision-making in public related agencies. Dr. Loustaunau is a published author of books and articles about Aging and Widowhood, Multicultural Health Care and U.S.ñMexico Border Health as well as CD workbooks and short courses on Aging, Multicultural Health, and Medical Ethics. Two of her books are included on the recommended reading list of the Center for Disease Control and Prevention. In her husbandís honor, Martha established a graduate fellowship for students studying genetics, mathematics and social science at New Mexico State University and the University of Illinois. She also established a research Fellowship for the Institute for Genomic Biology at the University of Illinois in her and her husbandís names that will become operable when she passes from this life. Although officially retired, Martha continues to occasionally teach on-line courses and is an activist for social justice and environmental causes and continues to work on various writing projects. 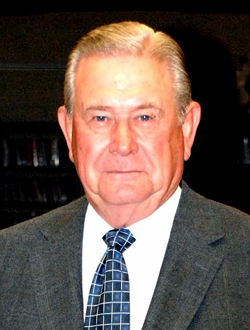 Mr. Larry Dalton was raised in Monticello, Illinois, the son of Leston and Mattie Dalton and graduated from Monticello High School in 1963. He then received an Associate Degree in Electronic Technology in 1965 from Southern Illinois University after which he pursued and received his B.S. in Applied Mathematics in 1975 and M.S. in Electrical Engineering in 1977 from the University of New Mexico. Mr. Dalton worked for the next forty-three years for Los Alamos National Laboratory in Los Alamos, New Mexico and Sandia National Laboratories in Albuquerque, New Mexico. The primary mission of these two National Laboratories is development and delivery of the U.S. Nuclear Stockpile. Mr. Daltonís responsibilities included several years as a project engineer for nuclear related programs including nuclear weapon component development and safety subsystems. He held a management position the last twenty years of his career at Sandia National Laboratories managing U.S. National Security programs. NASA requested that Sandia National Laboratories provide on-orbit scanning of the Space Shuttlesí thermal protection system after the Columbia Shuttle accident. He and his team were responsible for acquisition and analysis of imagery from all Shuttle flights post Columbia until the end of the Shuttle program in 2011. 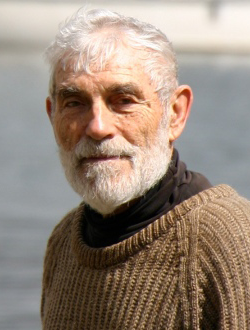 Larry Dalton retired from the Laboratories in 2008 and has enjoyed an encore career doing custom residential design and construction. He never lost his connection to Monticello, returning for visits with his family and enjoying memories of his years in Monticello. He was always proud to be from Monticello where he embraced lessons in work ethic, integrity and respect. His favorite quote from Bill Gates, Microsoft Corporation is ìBe nice to the nerds; youíll wind up working for them.î Larry and his wife, Laura, live in Albuquerque, New Mexico. Mr. Gary Lee Ashby was raised in Monticello, Illinois, the son of William and Mary Kathleen ìCootieî Ashby. He graduated from Monticello High School in 1959 and while attending MHS, was very active in football, basketball, track and Student Council. Upon graduation from Southern Illinois University, Mr. Ashby married Patricia J. Egbert, also of Monticello. Their two daughters are Jennifer Lee (Ashby) Mallon and Tricia Kathleen (Ashby) Scabis. Gary Ashby had a distinguished career as a Navy Intelligence Professional where he provided near real-time tactical and strategic intelligence support to naval operating forces ranging from the southwest Pacific to the shores of the eastern Mediterranean Sea and beyond. His varied Navy assignments included tours with tactical air squadrons embarked on aircraft carriers in support of United States military operating forces engaged in the Vietnam conflict. His qualities of leadership and management of large numbers of personnel and sensitive Navy programs led him to the Defense Intelligence College at Washington, D.C. where he earned the equivalent of a Master of Arts degree in Strategic Intelligence. As a Signals Intelligence (SIGINT) Officer with the Operational Intelligence Office (NFOIO) in Washington, D.C., he became an expert in exploiting the intricacies of Soviet Navy intelligence collectors. 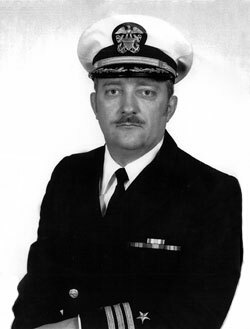 With his knowledge of Soviet Navy operations, Commander Ashby handled sensitive operational evaluations and analytical efforts related to the Soviet Navy during the 1980ís, a period in which the Soviet Union was beginning to crumble from within. He was part and parcel of that extraordinary period in U.S./Soviet history. Upon retirement from the Navy, Gary Ashby accepted an appointment with the CIA, responsible for providing national security intelligence to senior U.S. policymakers. The capstone of his career was being commissioned with the National Security Agency as a Representative to the Transportation Command, based at Scott Air Force Base, Illinois. Gary Ashby never lost sight of where he came from and would eventually return. He was a small-town son with an enormous devotion to country! Mr. Ashby passed away October 12, 2010. 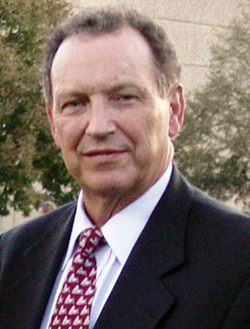 Dr. Gary Stamp was raised in White Heath, Illinois and graduated from Monticello High School in 1962. While attending MHS he was selected to the Okaw Valley All Conference Basketball Team three years and was a member of the National Honor Society. 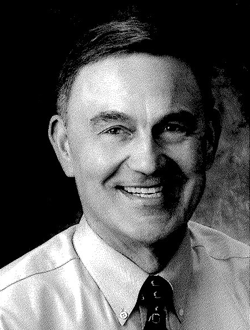 Dr Stamp received a Bachelor of Arts degree in Physiology from Southern Illinois University and obtained his Doctor of Veterinary Medicine (DVM) degree in 1970 from the University of Illinois. In 1971, Dr. Stamp joined the USAF and after his initial assignment to Southern Italy, the Air Force sent him to Colorado State University where he completed an MS and Residency in Small Animal Internal Medicine in 1976. Subsequently, he was assigned to the DOD Military Working Dog Veterinary Service at Lackland AFB and later to Ramstein AB Germany in 1978 where he served as the clinical specialist referral veterinarian for Europe. Dr. Stamp transferred to the Army Veterinary Corps in 1983 and completed several additional military assignments including Director, Military Dog Veterinary Service where he was responsible for overseeing the medical care of all military dogs in DOD. In September, 1992 he was selected to coordinate the animal care programs related to the Hurricane Andrew devastation and received the Humanitarian Service medal for his work. He was promoted to the rank of Colonel in 1990 and in 1994 he received the Army Surgeon Generalís Award for Excellence in Clinical Medicine. His 28 year military career culminated with his selection to serve in the position of Commander, United States Army Veterinary Command 1996-99. While serving in the military, he became Board Certified by American Board of Veterinary Practitioners and later was recognized as Charter Diplomate and Founding Member of the American College of Veterinary Emergency and Critical Care. In 1996, Dr Stamp received the Distinguished Service Award from the Veterinary Emergency Critical Care Society and in 2006 he was recognized with the Outstanding Alumni Award by the University of Illinois, College of Veterinary Medicine. He serves currently as Executive Director of the Veterinary Emergency and Critical Care Society, an international organization with four thousand members. Dr. Stamp and his wife Mary (Ranek) have two children, Alisa and Eric, and one grandson, William. Martha Morris, a native of Monticello, exemplifies the values of her family, her schools and her church through civic and charitable interactions that grew from a long career in teaching and observing the needs of young people and old in her own community. Martha Bland Tippett Morris was born in 1943 and graduated from Monticello High School in 1960. Lincoln Elementary School Principal, Dwight Wilkey, influenced her with simple but profound lessons: be fair, be compassionate, do your best, understand that there are consequences for your actions. 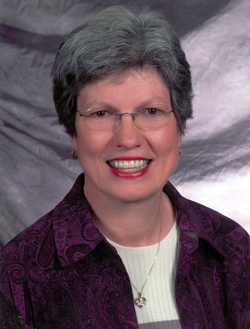 Martha graduated in 1964 from Northwestern University in Evanston with a Bachelor of Science in Elementary Education and taught nearly three decades in Argenta-Oreana Schools. She quickly saw that her students, some from impoverished families, needed more than basic school work. In 1984, she joined the new Piatt County Toy and Gift Program realizing that toys were not enough and started asking for donations of socks, hats, gloves and winter coats. In 2005, she started ìThe Clothing Roomî. For six years, Martha provided clothes for anyone who had a need. Another teacher influence was George Bachman, Martha's music teacher. Thanks to him Martha has spent her whole life singing. Martha currently sings in the Monticello United Methodist Church Choir, the Monticello Summer Singers, and for thirty two years sang with the Sweet Adelines Chorus in Decatur and Champaign-Urbana. She also sings annually with the SA Sterling Sorority Chorus. Martha was a member of the Piatt County Chapter of the American Cancer Society that initiated the local Relay For Life in 1996 and she participates in the Relay every year. Martha is a volunteer for the Kirby Auxiliary and since her retirement in 1994, she continues to stay connected with children by substitute teaching in the Monticello Schools. Martha is married to Chuck Morris and they reside in Monticello. 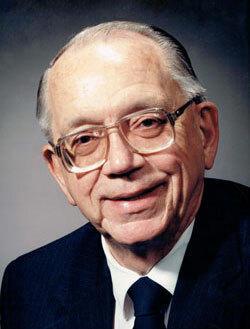 Herbert H. Kaiser, Jr., known as Obie, was a 1949 graduate of Monticello High School. Upon graduation, he went on to receive degrees from Yale University in 1953 and Harvard Law School in 1960 and was awarded an M.B.A. from George Washington University in 1968. Enlisting in the Air force in 1953, he served as loadmaster on C-119s and C-124s with squadrons from Donaldson Air Force Base, S.C. He was subsequently selected for Officer Candidate School and commissioned in December, 1954. Later he was assigned to Wiesbaden Air Base, Germany, as an intelligence officer until released from active duty in 1957 to attend law school. For the next thirty years, he was in the Air Force ready reserve, and was recalled to active duty several more times before his retirement as a Brigadier General in 1987 at which time he received the Air Force Distinguished Service Medal. In 1967, he was recalled to attend the Air Command and Staff College and was the first Reserve officer named a Distinguished Graduate. Thereafter, he commanded reserve detachments of the Air Force Intelligence Service at bases in Michigan, Ohio, Virginia, and Washington, D.C. He was also recalled during OPERATION HOMECOMING in 1973 to debrief Air Force prisoners of war returning from North Viet Nam. Additionally, in 1977, he was selected to attend the National War College, Washington, D.C., the second Air Force Reserve officer to do so. 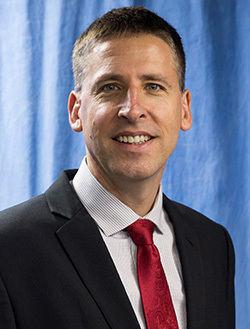 In civilian life, Mr. Kaiser combined his military and legal background in Senior Executive Service (SES) positions with the Department of Defense, ending his career as the Deputy for Facility Programs in the Office of the Deputy Assistant Secretary of the Air Force at the Pentagon. Earlier in his career, Mr. Kaiser practiced law and held corporate and public sector positions with an international focus. When retiring from the Civil Service in 1992, he received the Air Force Exceptional Civilian Service Medal. 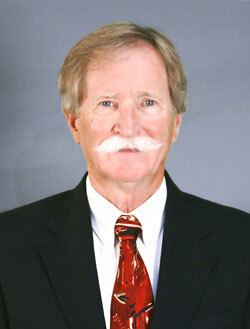 After retiring from government service, Mr. Kaiser served as President of Kaiser Abstract Company and Shelby County Land Title Corporation in Monticello. This is a family- owned title insurance business that dates back three generations in Monticello to the beginning of the 20th century. Mr. Kaiser was married in 1961 to Barbara Holtz and had two daughters, Lisa H. Kaiser of Alexandria, VA and Betsy McIntyre of Washington, D.C. He passed away in October, 2011 at the age of 79. Rebecca Olson was a 1976 graduate of Monticello High School. While attending high school, she was an Illinois State Scholar and a member of the National Honor Society. She performed with the school band and in Stage Show. She wrote and edited for the student newspaper. Ms. Olson was also captain of the Scholastic Bowl team. She attended the University of Illinois Urbana-Champaign where she received a Bachelor of Science in Architectural Studies and a Master of Architecture. While at the U of I, she studied architecture in Versailles, France in conjunction with the University of Paris. Ms. Olson is a registered architect that has designed new construction and renovation projects for a variety of building types including healthcare, research laboratories, higher education and commercial facilities. She has designed multiple projects for signature clients including the Banner Healthcare System, the Mayo Clinic, Arizona State University, the City of Phoenix, the Department of Veterans Affairs, the University of Iowa Hospitals and Clinics and the University of Maryland Medical Systems. Rebecca was named a principal at Westlake Reed Leskosky, an integrated architectural and engineering practice. She is the Studio Director for the Phoenix office and oversees a staff of 40 architects and engineers. The Phoenix office has been ranked the fourth-largest firm in the area. Ms. Olson is a member of the American Institute of Architects and served on the Board of Directors for the Cedar Rapids-Iowa City AIA chapter. 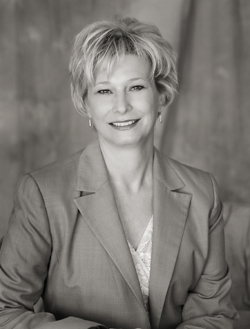 She is a founding member of the Womenís Principalsí Group for AIA Arizona. Rebecca was named to the Whoís Who in Business for Architectural Firms in Phoenix. 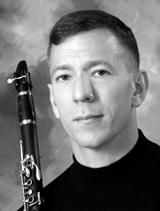 John Mula, MHS Class of 1981, Clarinetist and Educator, holds a Bachelorís Degree in Music Education from the University of Illinois, a Master of Music Degree from San Diego State University, and a Doctor of Music Degree from Florida State University. He taught general music and band in Santee, California (1988-94), and was awarded ìTeacher of the Yearî at the Carlton Hills School in 1993, and again at Sycamore Canyon School in 1994. Tom Miller was a 1961 graduate of Monticello High School. In addition to being a member of The National Honor Society, Mr. Miller was named to the Okaw Valley All-Conference Football and Basketball Teams his senior year. He was also presented with the Monticello Rotary Shield his senior year. Hazel Lindsley graduated from Monticello High School in 1956, before receiving her Bachelor Degree at Eastern Illinois University in 1960. She started her teaching career in Mahomet before coming to Monticello High School to teach English/Communications for the next twenty-nine years. During her tenure she became very active in the student government, having two students hold offices in Illinois Association of Student Councils. 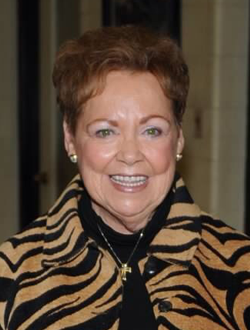 She served as advisor on the IASC Board for four years, receiving Illinois Outstanding Advisor Award in 1978. Her local student council members published a book on leadership, which was given to all member schools in Illinois. 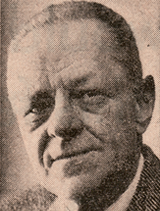 William T. Lodge, a life-long resident of Monticello, Illinois, graduated from Monticello High School in 1922, before receiving his Civil and Chemical Engineering Degrees from the University of Illinois in 1930. Mr. Lodge was in the general contracting business until 1933, served as an engineer with the Federal Works Progress Administration until 1935 and then became a farmer. Mr. Lodge was a member of the Izaac Walton League of Illinois, a conservation organization. He served as president of the league in 1936 and was the first president of the Illinois Federation of Sportsmenís Clubs. In 1941, he became Vice President of Viobin in Monticello. He was a veteran of World War II, serving in a tank destroyer from 1942 until 1945. 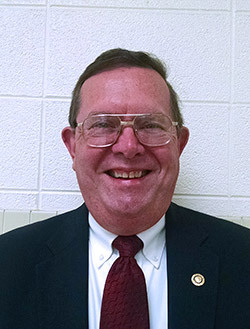 Ed Williams began his academic career in Monticello and graduated from Monticello High School in 1962 as Senior Class and Student Council presidents. He then entered Illinois Wesleyan University, graduating with a Bachelor of Science degree in Psychology and earning a varsity letter on the track and field team. In 1966, Ed entered the United States Air Force and completed Officer Candidate School as a distinguished graduate. He then served four years as a missile combat crew member and as director of plans and scheduling for the 91st Strategic Missile Wing. Raymond ìDocî Valentine was born in 1936 in a hand-hewn log cabin on the northwest side of what is now Valentine Park near Monticello. 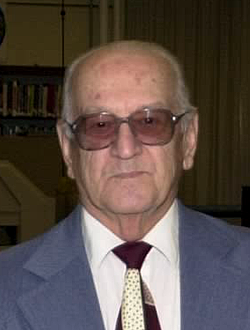 Doc attended Lincoln Grade School and graduated from Monticello High School in 1954. 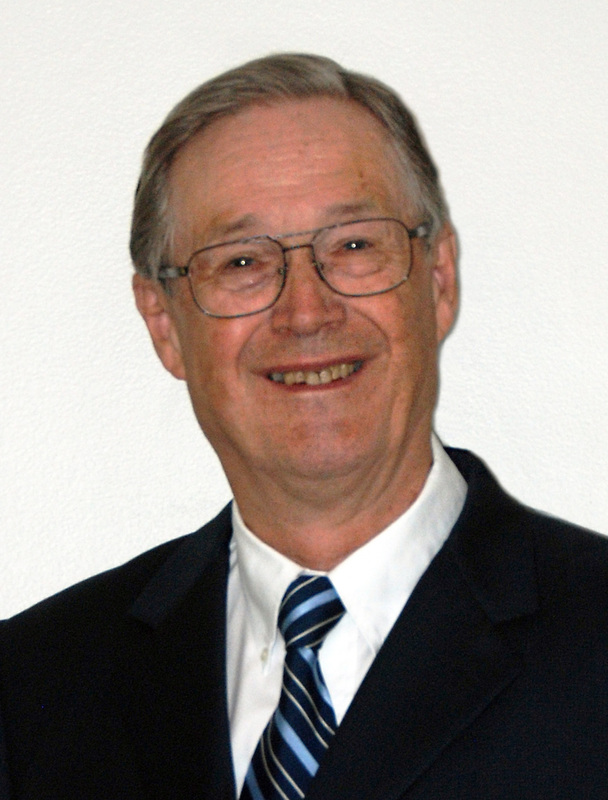 Dr. Valentine was awarded his BS, MS, and PhD degrees in microbiology from the University of Illinois in 1962. His thesis involved a locally isolated microbe, Streptococcus allantoicus. During his graduate student internship at the DuPont Experimental Campus in Delaware, he discovered an important high-energy electron carrier important in photosynthesis, which he coined as ferredoxin. Dr. Valentine also conducted postdoctoral research at the Rockefeller University and California Institute of Technology.